Especially if You Have Cats. Our Border Collie mix rolls “belly up” to new peeps & cats he meets. He is a friendly, 4-5 yr old Border Collie mix who is a long way from his old Kentucky home.That is if he ever really had a home there. 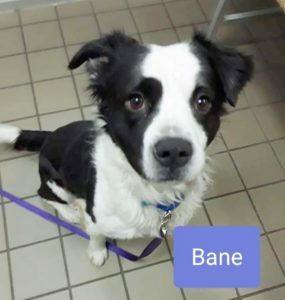 BANE Deserves a Great Home with a Long Island adopter. Would that be YOU?